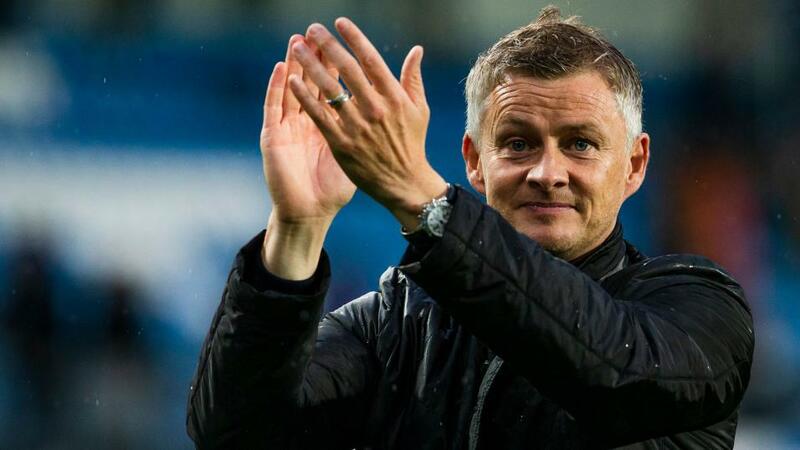 Will Ole Gunnar Solksjaer be celebrating after Manchester United's match with Southampton? Manchester United could move into the top four with a win over Southampton. Opta rates their chances. "Since Ole Gunnar Solskjaer took charge, Man Utd have won at least five more Premier League points than any other side (29)." United are [2.3] to win half-time/full-time. Manchester United have won just one of their five home Premier League games against Southampton since Sir Alex Ferguson retired (W1 D2 L2) - under Ferguson, they won 13 out of 14 against the Saints at Old Trafford (D1). A Southampton win is [8.4]. Southampton have drawn their last two league matches against Man Utd; they haven't avoided defeat in three consecutively against them since May 1989 (five games). The draw is priced at [4.5]. Since the 2013-14 campaign, only Manchester City and West Bromwich Albion (3) have won more away Premier League games at Old Trafford than Southampton (2). The Saints are [6.0] in the Draw No Bet market. In Premier League history, Manchester United have come from behind to win eight matches against Southampton, a joint-record in the competition with Manchester United also coming from behind eight times to win against Newcastle and Chelsea doing so against Sunderland. The Southampton half-time/Manchester United full-time double result is [26.0]. Southampton have won just one of their last 33 Premier League games against 'big six' opponents (D9 L23), beating Arsenal 3-2 in December. Manchester United are [1.5] to claim victory. Since Ole Gunnar Solskjaer took charge, Man Utd have won at least five more Premier League points than any other side (29). United are [2.3] to win half-time/full-time. Manchester United striker Romelu Lukaku has been involved in nine goals in his last 10 Premier League appearances against Southampton (7 goals, 2 assists). Lukaku is [2.4] to score. Romelu Lukaku's brace against Crystal Palace for Man Utd last time out means the Belgian has now scored at least 10 goals in each of his last seven seasons in the Premier League. He is [6.0] to score the first goal. Southampton's James Ward-Prowse has scored four Premier League goals this season - he's never scored more in a single campaign in the competition. Ward-Prowse is [8.0] to his tally. Man Utd's Paul Pogba has recorded 20 Premier League goal involvements this season (11 goals, 9 assists), matching his best return in a single campaign in the top five European leagues (8 goals, 12 assists in 2015-16). Pogba is [2.5] to find the net.